After more than a month of competition, Doncic, Ayton and Young have been given the keys of their team while many other rookies, despite some inconsistency, have displayed the talent to be at least long time contributors. 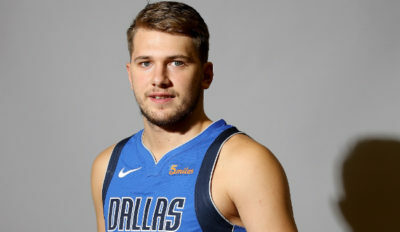 Alot has been said by experts, even by myself, about how tougher the challenge would be in the NBA for Luka. Well, he apparently doesn’t care. After 15 games, he’s averaging 19.5pts 6.6rbds and 4.2as with a more than respectable 47% from the field and 37% 3pt. He’s still the same very smart player he was in Europe and his craftiness also allows him to be solid on the boards and around the rim. He must learn to be less careless with the ball but at 19, he’s already a franchise player for the hopeful Mavericks. We can’t deny that Ayton is talented. His 16.3pt 10.5rbds and 2.8as on 60% fg with a variety of offensive moves and solid shooting are pretty amazing for a one and done. Now, a dominating big man should lead to wins and that’s not the case. We can’t blame it all on Ayton as the Suns lack a real PF and depth, yet Ayton has to be more impactful on defense where his 0.7blk in 32min are very low considering his tools. Scoring does’nt count if you don’t win games, let’s hope he figures it out quickly enough. He may not have better stats than some of his rookie classmates but he does it for a team which is 10-5 after a month. The third best scorer of the Grizzlies with 12.7pts on 50% fg, Jackson makes also his mark on defense where his 1.8blk are good for top 10 in the league. He’s in the perfect team with solid vets like Conley and Gasol to show him the way and the starting spot to rack minutes and make mistakes to be a better player. As long as his shooting doesn’t fall, Young will struggle to be good. Despite some very good outing like a 35pts 11as 1to against Cleveland or a a 24pts 15as against the better Heat, Young has shot only 24% from three, which makes him too easy to defend as he doesn’t have the length or athleticism to finish at the rim (7 games under 45% fg, in progress). In a weak Atlanta team, he somehow displays some very good passing which bodes well for the club’s future. The versatile center was not the flashiest prospect but has already proved why he was ranked so high. In 26min a game, he averages 11.3pts 7.4rbds 2.3as and 1.9blk. He still needs to work on being more consistent from outside (only 28% from three) and get used to the size and strength of NBA players. If Chicago can add the injured Dunn and Markannen, it will puts less pressure on the former Dukie and allows him to show what he got. Since the beginning of the season, Bagley has been an energizer from the bench for the Kings with 11.9pts 5.7rbds and 1.1blk in 22min (50% fg, 39% 3pt). Like his former teammate Carter Jr, Bagley has struggled lately with five games under 42% fg over the last eight. Yet, he’s in a good situation to bounce back for a surprising Sacramento team and will have the minutes to improve during the season. Ranked behind Young and Sexton, the lanky PG had the chance to fall to the Clippers where he’s surrounded by vets with defensive and team-first mentalities. He fits perfectly in and has been given responsability as he averages 9.7pts 2.9as 0.8st and 0.7blk in 27min. He still must learn the nuances of the PG spot and improve physically but has the tools to be a special player. Playing for a very weak Cavaliers team, Sexton has been ok but is not what you expect from your PG, the reason why I wasn’t convinced by his collegiate play. His 12.9pts in 26min are ok but 2.3as for 2.4to is mediocre for a PG in a team which needs someone to create scoring opportunities. His scoring has been better lately with four games over 15pts on almost 50% fg so let’s hope his passing gets better too. Trier has been given playing time right away and even if he can a little too selfish (1.5as in 24min), his 11.1pts on 46% shooting are good for a rookie, above all someone drafted in the second round. The former Arizona Wildcat brings scoring from the bench and could be a nice combo if he looks more for his teammates. #10 Mohamed Bamba, 7-0 PF/C, Orlando. As expected, Bamba will need time to fully blossom. Moreover, he was drafted by a team where both inside spots are locked with Vucevic and Gordon. In the 17min per game he has been granted, he has been good albeit inconsistent in the role of a rebounding/shot blocking big with 6.6pts 4.6rbds 1.5blk. His shot seems ok but he needs more repetitions. Hopefully, Bamba will keep working on his game and body and not being jaded by the situation. After his decision to decommit twice from Western Kentucky to prepare by himself for the draft and the rumors of his alleged lack of maturity, Robinson slipped to the second round where the Knicks were happy to pick him. Some were afraid he could get lost in the city turmoil and they have not been disappointed. An athletic freak at 7-1, Robinson is already a regular contributor with 4.9pts on 60% fg 4.1rbds and above all 1.7blk in 18min. He still has a lot to learn on offense and defense but could become the rim protector the Knicks need alongside Porzingis. Best of the rest : Miles Bridges (SF/PF, Charlotte, 7.7pts 4.1rbds) has been a good energizer for the Hornets at both forward spots. Josh Okogie (SG, Minnesota, 8pts 4rbds 1st) has benefited from the Jimmy Butler’s situation to showcase his defense and athleticism. Donte DiVincenzo (SG, Milwaukee, 6.4pts 3rbds) is struggling with his shot but brings intensity from the bench. Omari Spellman (PF, Atlanta, 6.7pts 5.3rbds) has been pretty good while John Collins was out. Despite his team’s bad results, Mikal Bridges (SF, Phoenix, 7.7pts 1.3st) is displaying potential as a three and D with 1.3st and 37% from three. Next Next post: 2019 NBA mock draft #2 : Who else but Zion?